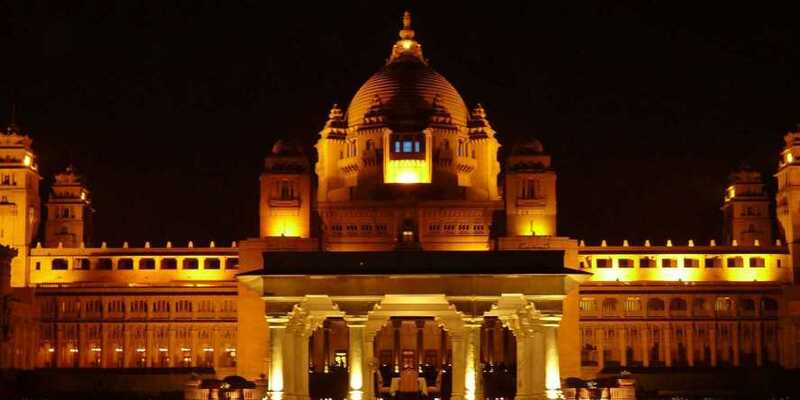 The Umaid Palace was named after the ruler of Jodhpur- King Umaid Singh. The palace was opened to the royal family in the year 1944. The palace was the residential abode of the royal family and its successors. The architectural magnificence of the royal palace is incomparable. 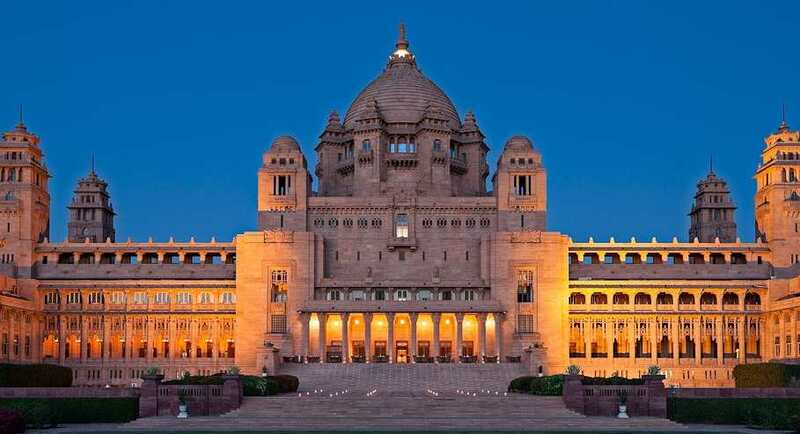 It has 347 rooms which was then the largest residential property in the entire world. The Umaid Palace is noted for its architectural splendor as it includes some of the finest examples of the modern architectural styles. Parts of the palace still remain as the residential abode of the royal family of Jodhpur. 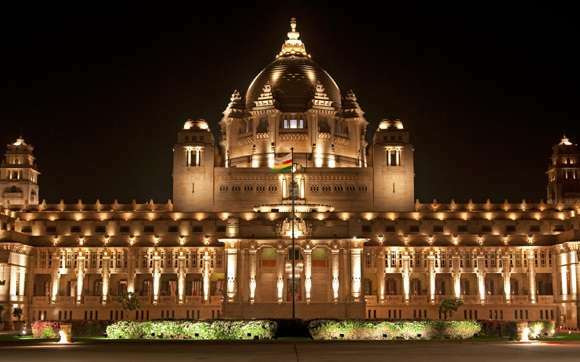 The palace showcases the artistic skills and excellent craftsmanship of the people of Jodhpur. The palace includes many distinct features which can be viewed by the general public. Artifacts, furniture, exclusive and rare pieces of antiques can be found in the palace even today. These exclusive pieces of artifacts are used to decorate the entire palace. The palace also includes a luxurious swimming pool known as the Zodiac swimming pool. It adds serenity to the entire palace atmosphere. The center piece of the Umaid Palace is the Central Dome which is a magnificent piece of art. It is 110 feet in height and appears quite elegant. The palace also includes a private museum in its compound. The private museum has some of the finest and rarest collections of antiques, clocks, furniture, china vases, arms and many more. All these pieces of rare collections can be viewed by the public. The Umaid Palace is surrounded by picturesque beauty with large sprawling lawns and beautiful gardens. The luscious gardens and lawns add to the splendor and glory of the palace. A visit to the City of Blue Houses or the Jodhpur city is quite incomplete without experiencing the structural beauty of the Umaid Palace.